You must make reservations at least 5 minutes in advance of the time at Mr. Miyagi. 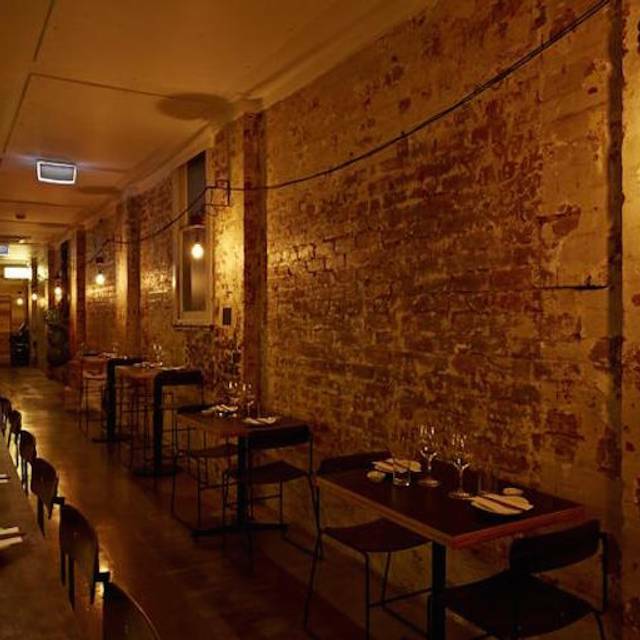 Chapel Street Windsor welcomes Mr Miyagi, a brilliant new Japanese restaurant serving contemporary Japanese dishes complimented by Japanese inspired cocktails, Japanese Whisky and iced tea, along with an impressive beer and wine list. 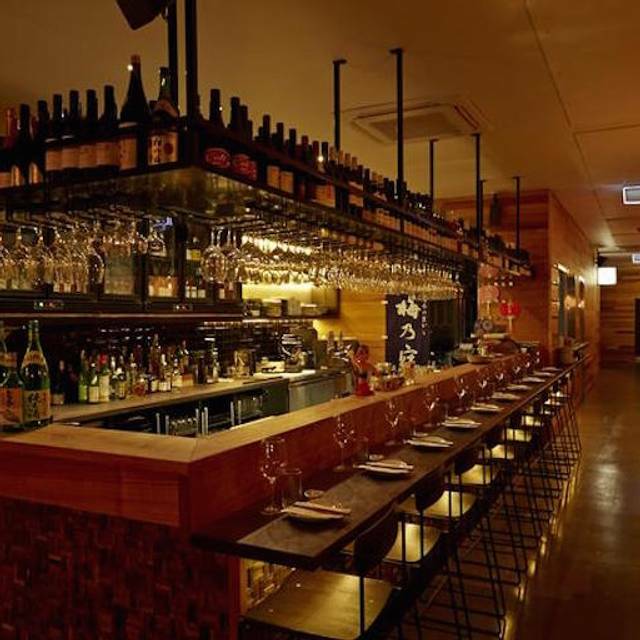 The name Mr. Miyagi may spark a nostalgic throwback to the 80’s, however Mr. Miyagi the bar and restaurant is nothing short of a current and innovative addition to the Melbourne food scene. 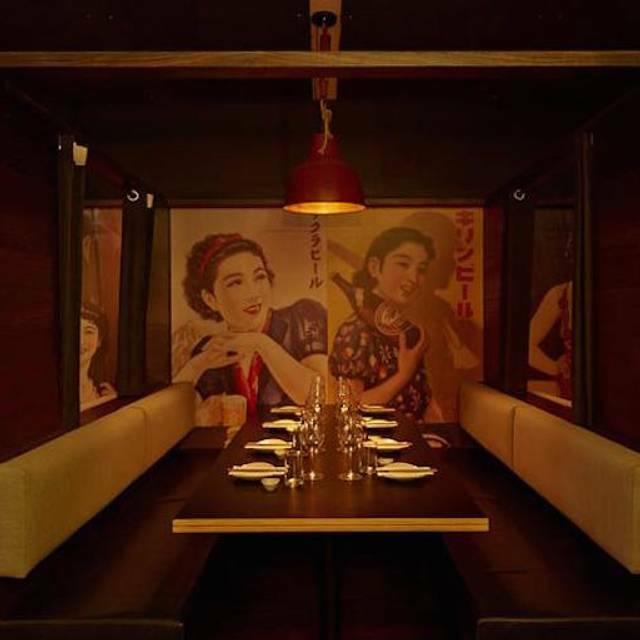 Mr Miyagi’s approach to dining is smart. The menu has been cleverly composed by Kyle Doody, and is easy to navigate, consisting of round one, round two, round three. The idea is to select different dishes from the three rounds, encouraging people to share and take advantage of the diverse menu options. The relaxed and hip vibe of Mr Miyagi is enhanced by the open kitchen where the Sushi chef serves up crisp, fresh sushi and sashimi. Level 1 is a multi-functional room, perfect for lunch or dinner events offering both seated and cocktail style. Let Mr. M know what you need room for and he make perfect for you. We celebrated our daughter's 14th at Mr Miyagi. The group of girls were in a booth whilst our husband and I and other daughter were in the main dining area. Lachie and his team really looked after us on the night. Food was amazing (love the nori tacos! ), service was outstanding and the ambience was vibrant. Very special evening, thank you! Attentive service on arrival & our waiter was very friendly & engaging throughout our lunch, for 7 people. It was a first visit for all but one of our group and they were very impressed with the service & amazing choice & quality of the food. We were relocated to the back area for dessert. The sun was streaming in the rear floor to ceiling window with the colourful laneway graffiti as a backdrop. Dessert was also impressive & included a complimentary sake, topping of a wonderful birthday lunch! The waitress, Sacha, warmly welcomed us. She made the celebration extra special by organising a special mocktail and a gluten-free dessert (with Happy Birthday scribbled on the plate) for the birthday girl!! And what's more, both were on the house too! All the dishes were amazing!! So good for sharing! As always I love this place. Great staff, fabulous food and always made to feel special. We were here for my daughters 18th birthday and they were very generous with their service and smiles. We will keep going back again and again, even though we have been here probably a dozen times in the last two years and it's an hours drive away, so it must be special for us to make this effort for food and service! I honestly had the best time with my friends at Mr Miyagi! Food was delicious, cocktails were exceptional and the service was amazing. We felt so looked after and I was so spoilt! Really loud music. Delayed service at times. Long wait for chicken dish. Repetitive staff. Forgotten drink. The staff gave us a free drink which was nice although the waitress poured a drink for herself to have it with us! Ally our waitress selected all our dishes, catering to our dining needs of shellfish allergy and vegetarian, and making our experience so easy and enjoyable. Her selections were perfect! Very nice meal on St. Valentine's date. First off it is a bit of a price tag to say the least because I booked it for Valentine's Day. However for special occasions the value was not too bad. Cocktails and mocktails were free. Atmosphere was vibrant and bustling. The service was great and a particular waitress was very energetic and definitely made the experience much more engaging. Outstanding food, brilliant friendly service and great vibe!! Couldn’t ask for better! Mr Miyagi is vibrant and the food quality is exceptional. However, don’t go if you’re celiac as I got very sick even though I was assured that everything would be gluten free for celiacs. Clearly they need to check their cross contamination procedures!! How disappointing as I love this place and so do the rest of my non celiac family! The guys went over and beyond for our birthday celebrations yesterday! This place is amaaaaaaaaaaaaazing!!! It's my 4th time here and it never disappoints!! As usual, the service and food were exceptional. The staff are always warm, welcoming and attentive. It is always a pleasure to celebrate my birthday and other special occasions there, and i always recommend it to friends and family. Had the most amazing service! Very friendly and helpful waitress. Food was very fresh and so tasty! Amazing food, service and cocktail! Was such an amazing place for our group of 11 for my birthday. Ruby was amazing! Great service, great food, great atmosphere, very impressed!! Brilliant modern Japanese fusion (although that's not the best description, you need to eat there to appreciate the food style). Great food, even better service! Good food, good music and feel, amazing service! All over such a good experience! Fantastic experience with a group of 8 ladies for dinner. Outstanding food, couldn't fault any of the dishes we ate. The service was super friendly, helpful and attentive. Thank you for one of the best meals out in a long time !! Brilliant! I hosted a small Hen's dinner in one of the booths and the staff put out the decorations for me before we arrived. It looked amazing. The food was divine and music was pumping making a fantastic atmosphere. Highly recommend. absolutely love my experience at Mr Miyagi. This was my second time here and I can not fault the food or the service. Food is absolutely delicious and the perfect size for a single serve. The staff are amazing and so attentive and ensure that you're dining experience is memorable. Amazing food and awesome service! Fish taco was unbelievable!! Our waitress was named Lauren and she was amazing! So attentive & accommodating and made us feel at home. It made all the difference especially when she reserved a table for our party of 13 in Yukie’s so we could enjoy more drinks & dessert as we had to give our table back at 8pm. The food was super yummy, suitable for sharing & arrived st our table very quickly. Thank you Mr Miyagi for hiring wonderful & skilful staff. The service was incredible, was given complimentary desert and personalised cocktail because it was my birthday. My friends and family also had an amazing evening- will be recommending it to all my friends!!! I can not fault my experience at Mr miargi on Sunday night.